Qatar's Nasser Al-Attiyah became a three times Dakar Rally winner on Thursday, taking no risks on the last stage to Lima and finishing with a 46-minute lead, while Australian Toby Price took the motorcycle crown. The triumph, in a gruelling endurance event now run entirely in Peru and featuring cars, bikes and trucks, was a first for Japanese constructor Toyota. 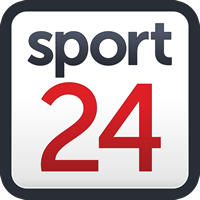 Overall runner-up in 2018, the 48-year-old led after every stage bar the second day in this year's event when South African teammate Giniel de Villiers was ahead. "It’s fantastic. No mistakes during the entire rally. It was a very, very difficult rally for everybody," said Al-Attiyah. "The good thing was that from day three we were leading and we built on our time every day until we came to the last day with a big, big lead. "We felt when we came that in Peru...with no other country, there would be a lot of sand dunes so we could do what we know we're good at." Price, battling a wrist injury suffered before the rally started, had led overnight but with only a minute between him and Chilean Pablo Quintanilla. The Australian clinched his second Dakar title, on a KTM, after he won the stage – his first victory of this year's event – and Quintanilla fell. "Pretty much all I can say is that it feels like there are about five people driving a knife in my wrist now," said Price after 10 agonising days of being jolted and bumped across the dunes and desert. "Now I’ll just wait and see what damage I've done to my wrist. At the end of the day, the pain and torture has been worth it. "I thought I would only be able to do two stages and then pull out and that would have been me done, but the support from everyone back home in Australia and then having some things go my way and a bit of luck, it just worked out in the end."